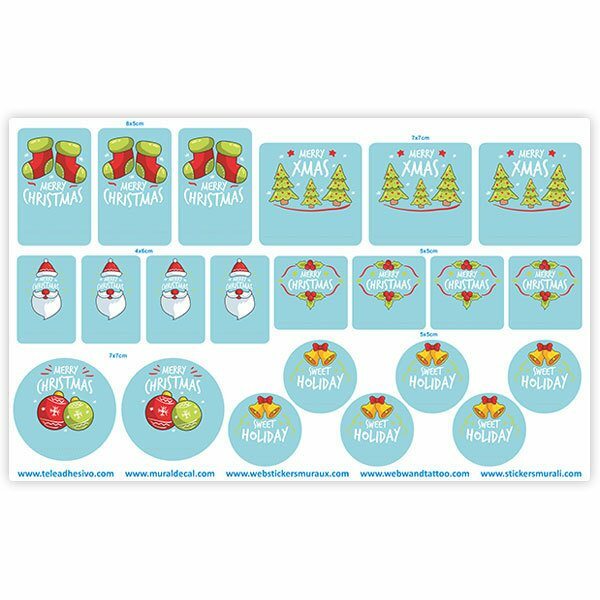 Merry Xmas Custom Label Kit. 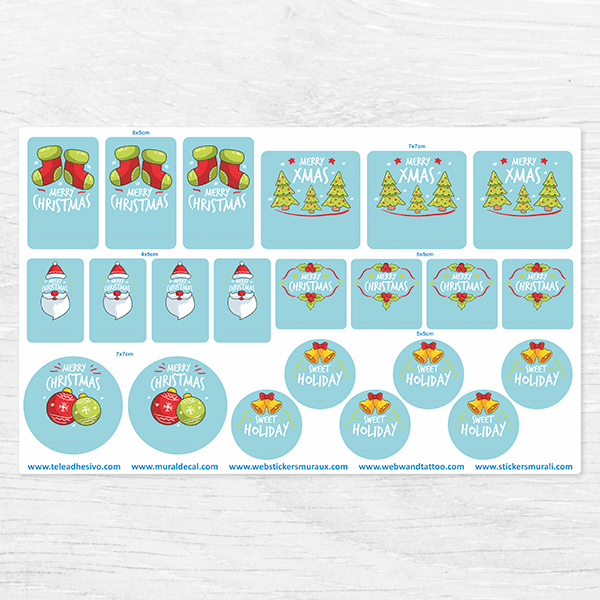 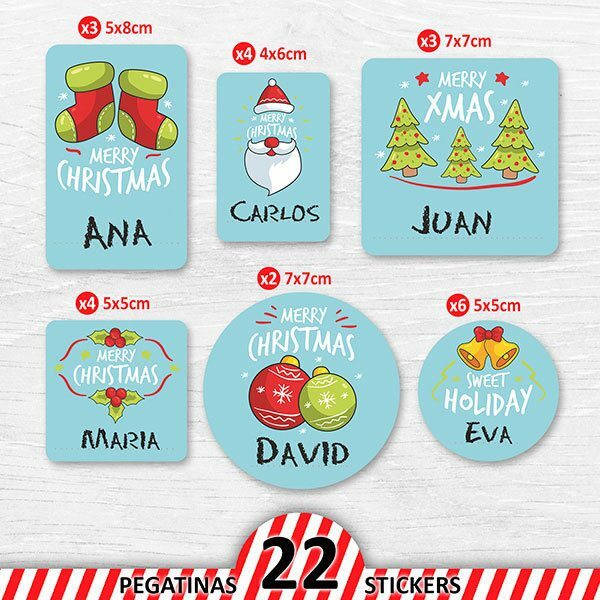 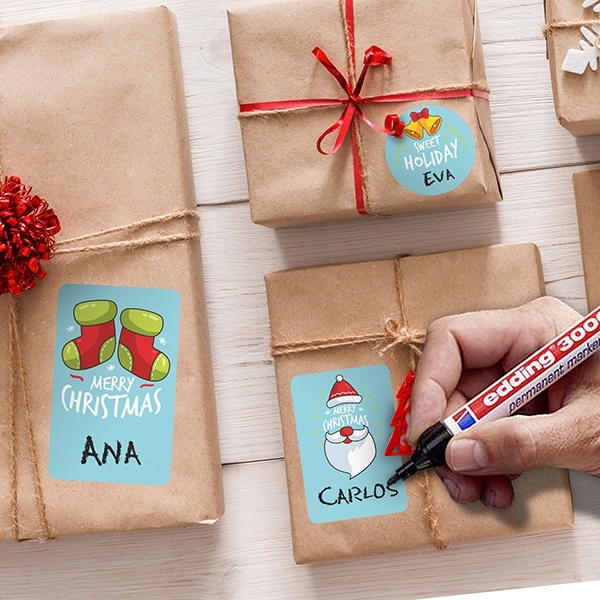 22 stickers for you to decorate the gifts you make at Christmas, this design has typical Christmas drawings in full color with blue background. There is also a space for a permanent marker you can put for whom the gift is intended.